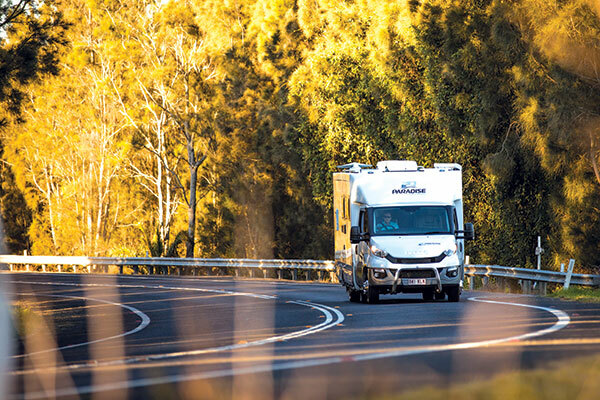 I am very familiar with the Paradise Motor Homes range, but I was particularly interested in this motorhome because it is the top-of-the-line model, built to order, and so presented a rare opportunity to review Paradise’s flagship motorhome. Myself, CMCA CEO Richard Barwick, and The Wanderer Editor Kirstie Bedford, had an excellent opportunity to inspect the Independence Deluxe at the auspicious Motorhome Legends event in Shoalhaven Heads, NSW recently. 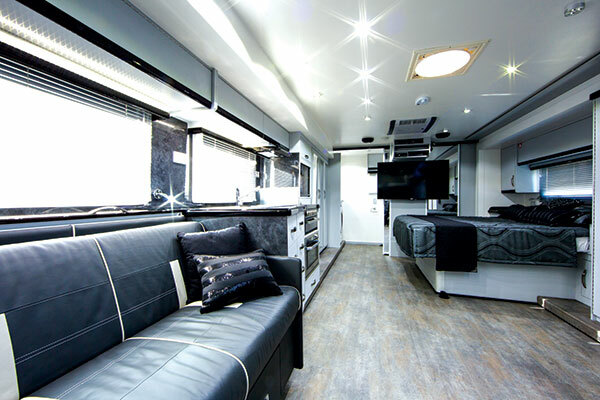 We road-tested three motorhomes, and this one was the cream-of-the-crop in terms of luxury appointments and features. 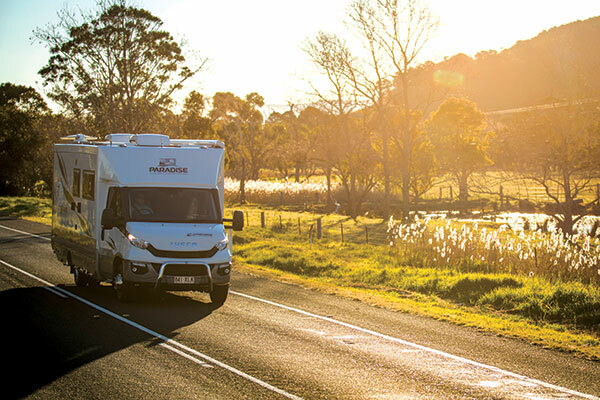 At the top of the Paradise range with a price tag of more than half a million dollars, the Independence Deluxe is not a new motorhome design, but a continuation of an existing model range and built with the same genetic structure. It has a high tensile alloy frame, and a composite fibreglass body structure that uses mouldings for the front panels, and a one-piece fibreglass roof. It’s not obvious, but a feature of the lower panel work is that it’s easily detachable from the upper panels in the event of an accident. 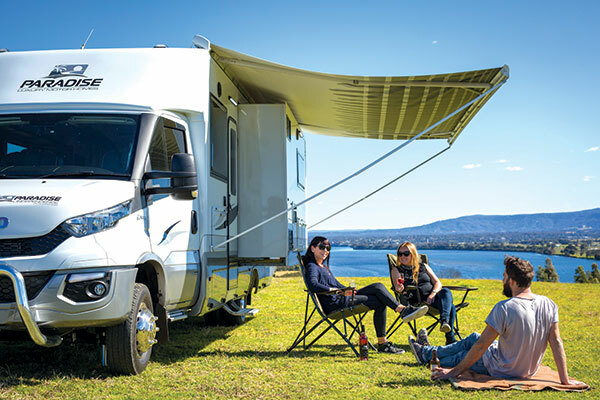 Weight distribution is important to Paradise, and it ensures that both the front and rear axle loading is correct and that the motorhome is level from side-to-side. This is certainly a consideration when slide-outs are used, especially when the offside one is almost as long as the wall. Aiding that are the four optional hydraulic corner levelling jacks – they make it very easy to set up the motorhome on non-level sites. All the external bins, of which there are plenty along both sides of the motorhome, are fully sealed and have strut-assisted doors for easy opening. Those fitted under the slide-outs are, of course, more difficult to get at when it’s fully open. Some of the bins already have a function, like those built into the nearside slide-out that contain a barbecue, flat-screen TV that has a Paradise-manufactured mounting, as well as a fridge. In addition, one of the lower bins contains the electrics and charger controls. Richard Barwick was particularly impressed by the external storage options and features. Richard felt the attention to detail demonstrated in the interior of this luxury unit was a real credit to the Paradise team. 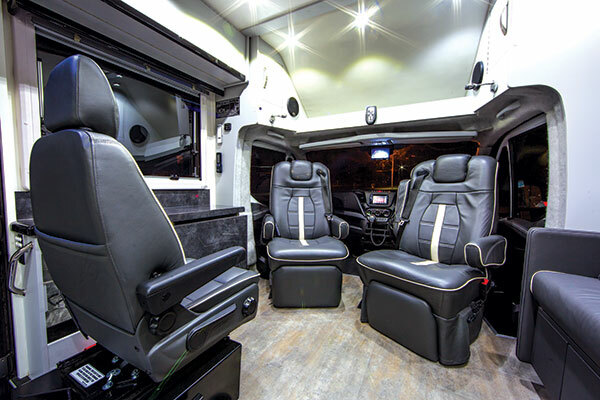 “The finer touches are appealing, including the leather lounges and swivel chairs, large queen-size bed, full-face mirrors, and technology improvements, and the use of space in the en-suite where the washer/dryer is very desirable,” he says. Powering the Independence is an Iveco Daily cab chassis. Its GVM of 7200kg, which will require the drivers to have an LR truck licence, comes with a generous 1300kg payload capacity, and the process of getting a licence is made easy by using someone like TDT Training, (see: www.transportdrivertraining.com.au, who assist you through both your theory, and practical, driving training). It is good that Paradise has opted to use the twin turbo-diesel engine, which delivers up to 150kW of power and a very healthy 470Nm of torque – something all diesel drivers appreciate. 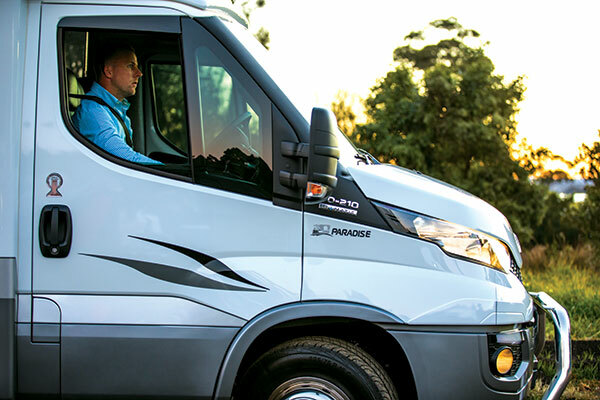 Even though it’s 8.6m (28ft, 3in) long, the Independence is a very easy driving vehicle, especially with Iveco’s smooth eight-speed gearbox. 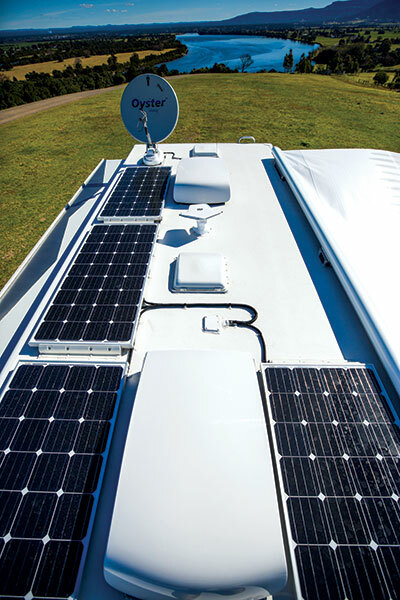 For the electrical system, there’s no shortage of power with the 300A Lithium battery being charged up by to 600W of solar panel capacity or the 2.6KVA pure sine wave generator. For quiet camping applications, the 3000W inverter/charger will deliver the 240V load. 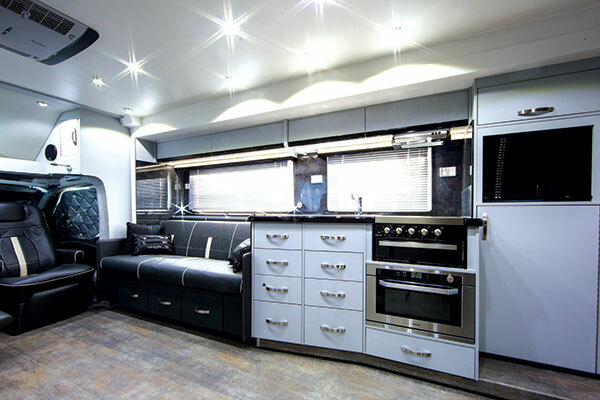 There’s no doubt that the Paradise’s Independence Deluxe is an expensive motorhome. 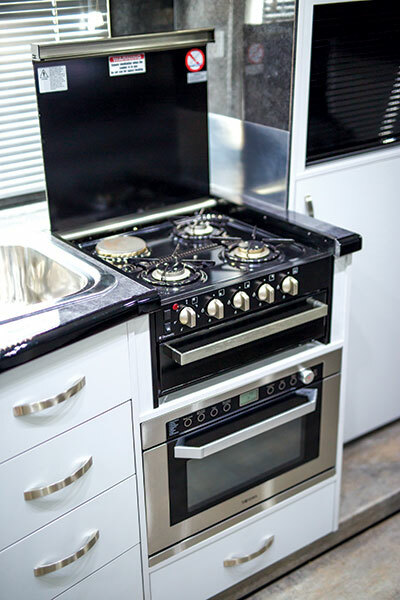 However, it does come fully kitted out with just about every motorhome comfort and safety feature in the known RV universe. 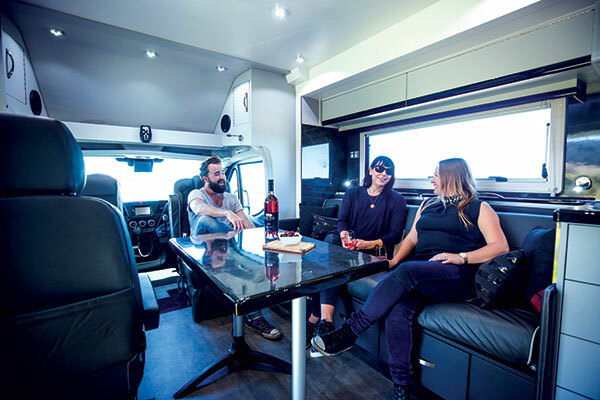 Staying with the tried and true seems to be the new Paradise owners formula for the moment, and that would seem to be very wise for what is a very luxurious motorhome. Richard believes Paradise would be at the top of everyone’s wish list, “with a price tag that is applicable to the quality”.